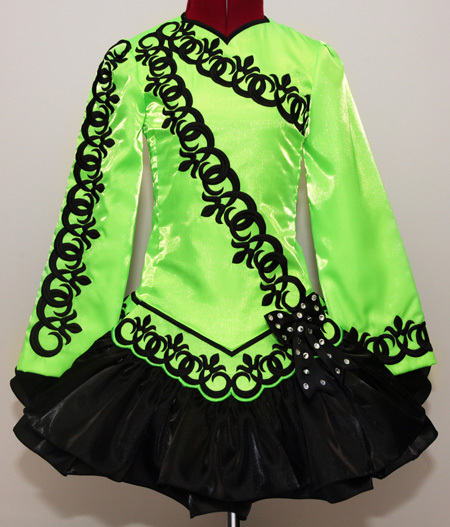 Lime green twinkle satin bodice, sleeves and dropped waist belts with pretty black asymmetrical embroidery design. Gorgeous black bow with Swarovski crystals attached to left side of dropped waist point highlights the asymmetry of the design. Petite lime satin shawl with black embroidery also features matching bow with crystals. Lime green and white polka dot cotton underskirt lining.